So how do you start a food blog? 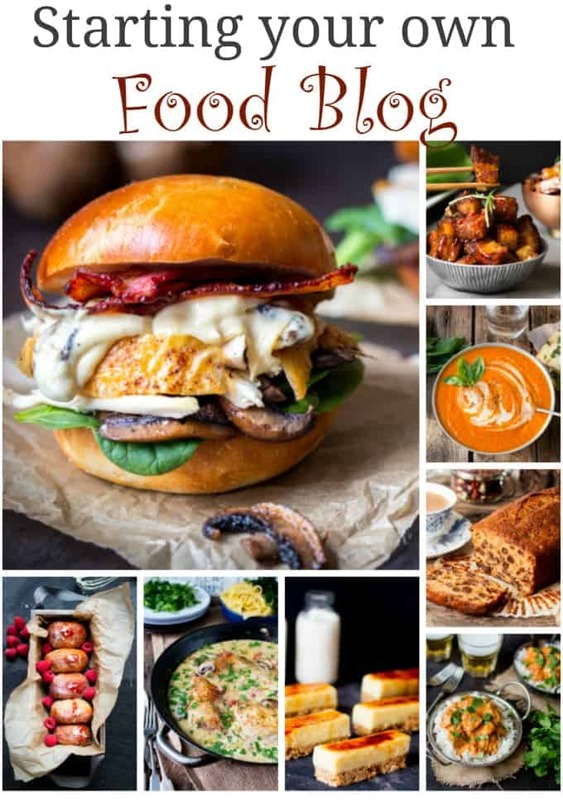 Today’s post aimed at new bloggers out there who have the same million-and-one questions I did when I started out i will show you how to start a food blog. Be warned, it’s a long one! Sorry guys, no recipe today! You can’t do everything at once to get your blog looking like all of those other beautiful blogs out there. Building up a successful blog takes time. I’ve made the mistake of trying to do a hundred things at once and stressing out because I couldn’t do it all. Get the basics right, then aim to make a small improvement every day. Focus on the improvement for that day, give it your full attention and you will see your blog develop and grow into something fantastic. If you are thinking of starting up a blog – or are in the early stages – I thought it would be good to start providing info to help you along your way. All of this info is based on my experience, using companies I have used and that I trust. So I won’t be talking for services I haven’t used (such as the Blogger platform or other hosting providers). I’ll provide links in this post where possible. A few are affiliate links which means I’ll earn a small percentage if you click through and sign up for any of them (at no extra cost to you of course). If you do sign up to anything via my links, then thank you! First of all, it’s important to understand why you want to start a blog. Is it to chronicle your recipes? Share some of your meal ideas with friends? A place to share your photography? A method of meeting a target – such as weight loss? Somewhere to document your journey through a change in dietary requirements – such as gluten intolerance? A way to start earning an income whilst working at home? If earning an income from your blog is something you’ve got in mind, or something you may want to consider in the future, then you should know it’s not easy. First and foremost, food blogging should be about food, and love of food. Any income should be a secondary consideration. 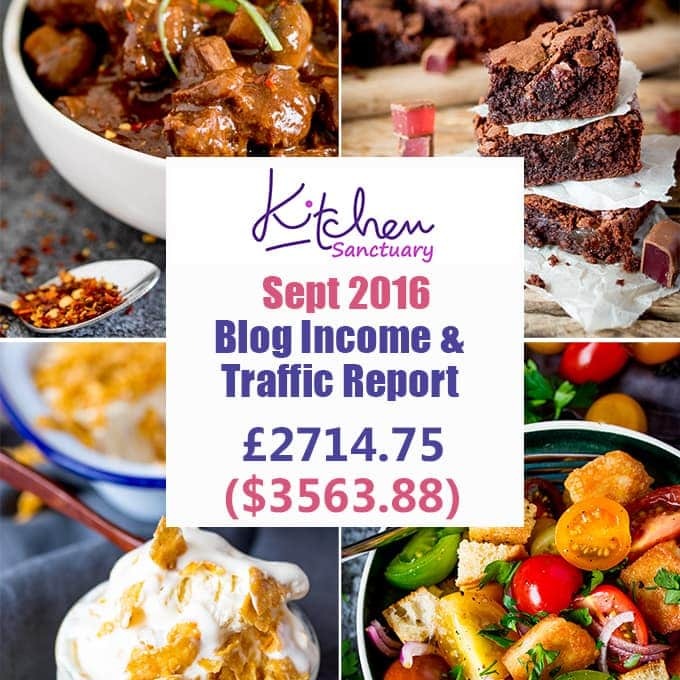 Starting a blog purely for the money is a recipe (sorry bad pun!!) for failure, and your readers will pick up on it very quickly. Also, it’s difficult to make money from blogging! I started monetizing my blog less than a year ago, and although I’m getting around 50k views a month, my monthly earnings only just about cover our grocery shopping at this point. It’s improving month-on-month, but earning a living through blogging takes time and a lot of effort. That being said, it is still nice to see a (slowly) growing income from doing something you love. So if you are thinking that you may want to earn some money from your blog now or in the future, that may impact your decision on how you want to set up and host your site. It took me ages to come up with a blog name that wasn’t already in use. I wanted to get it right as I was worried about the impact of changing my blog name further down the line. Your best bet is to get a piece of paper and brainstorm a number of ideas. Think about what you want your blog to be. What does cooking and writing mean to you? What feelings does it invoke? Is there a particular type of cuisine or type of food your blog might be aimed at? Is there a particular memory or item that has meaning to you? I’ve always loved retreating to the kitchen, and see it as a place of comfort and warmth – which is why I came up with Kitchen Sanctuary. Once you’ve come up with a few ideas for names, head on over to GoDaddy to check if they’re available . I can almost guarantee that all your favourite ones will be taken. Don’t despair! Just make sure you have a pen and paper with you as you go about your day. Jot any ideas down and go back to the site checker. It probably took me a couple of days in the end to decide on Kitchen Sanctuary. Even then, my old boss thought it sounded like a place where you buy kitchens! Design limitations – There are some great free ‘themes’ to use, but once you’ve picked one, you are quite restricted in terms of any further design you want to do. You can change your theme pretty easily at any time, but I found that where one theme gave me something I wanted, there were always a couple of things that I couldn’t get. For example, I really wanted a simple image gallery of my recipes, split into categories. I could not find a theme I liked that provided this functionality. I even ended up trying to write HTML code to manually update a table on my recipe page. Trust me, despite the fact I have a degree in computing science, I’m not good with writing HTML (or any other coding) and it looked rubbish! SEO (Search Engine Optimization) – this is the ability for your blog to show as high-up as possible in search results when somebody types something into a search engine – like Google. Although WordPress.com sites do show up in search results, usually the self-hosted websites are favoured. Can’t use plugins – plugins are ready-made chunks of code that perform some functionality on your site. So the example I mentioned earlier about wanting to show my recipes in an image gallery? There’s a plugin for that – but you can’t use it on WordPress.com. There’s more info about plugins below. You can’t place ads in your site – as a source of income. Website address – When you use a free wordpress.com site, it usually sets up your website address ending in .wordpress.com – like this: http://kitchensanctuary.wordpress.com. I think it’s easier to remember (and looks more professional) to have the website address without the .wordpress.com bit. You can do this, but you have to purchase the domain name. I did this so my website address would look like this: https://www.kitchensanctuary.com. I purchased the domain name through GoDaddy (it costs about $25-$30 a year). Once you’ve purchased your domain name, it’s easy to update your WordPress.com blog – using your new domain name as the primary domain. This is where you’re responsible for managing the back-end stuff on your site – such as paying for your own web hosting, managing backups (so important – you don’t ever want to lose all of your hard work), managing upgrades etc. It sounds scary, but it’s not that difficult. The web hosting and backups can be managed by a company for you – such as SiteGround. Upgrades usually involve you clicking on one button. They transferred my stuff quickly and easily. I lost all the ‘likes’ i’d acquired on WordPress.com, but all the comments and any subscribers moved across ok. When I spoke to the transfer team, they said there was no way that losing the ‘likes’ could be avoided. The wordpress.org dashboard looks pretty much the same as the ‘.com’ one – just with a few extra menu items. Since moving to self-hosted, I’ve found I have far more control over my site. I can add plugins, customize my site more easily and I’ve installed advertising to start earning some money. I did have one scary moment a couple of months ago where I was trying to mess with some code, and I managed to bring the website down and lose access to my dashboard arrgggh (told you I was no good at this kind of thing). But I managed to get everything back to normal again using the backup service. If you’re wondering whether to go for Hosted or Self Hosted, I think it depends on what you want to do with your blog. If you want to write blog posts purely for pleasure, and you’re not too fussed about having specific sparkly design features in place, then go for Hosted. If you think you may eventually want to turn your blog into a business, then go Self Hosted. Alternatively, you can do what I did, and start out on hosted until you feel more confidant with blogging. It’s a bit of a pain to make the move, but I felt there was so much to learn around blogging at the beginning, that I would have had a nervous break-down if I’d have tried to start off with self -hosting straight away. I use SiteGround to host my site. I moved over to them in November 2015 and I couldn’t be happier. My site is so much faster to load and the customer service is the best I’ve ever come across anywhere! There’s a really useful chat function, and one of the support staff stayed on the chat whilst I was completing the information for the move just in case I needed him. The move was issue-free with no downtime. I had a question about my email account the day after the move was completed, and I expected the service to be slower once they’d got my custom, but it was just as brilliant. I’m currently on the GoGeek price plan at £9.75 ($14.75) per month – which, although it says is suitable for ~100k visits a month, I’ve been told can actually take more than that. So I don’t think I’ll need to upgrade until I’m getting 150k+ a month. I use the Foodie Pro theme for the design of my site. I made a few customizations to it, which isn’t too difficult if you have little to no experience with website design. Basically you buy the Genesis ‘parent’ theme by StudioPress and then install the FoodiePro ‘child’ theme on top of that. To give you a bit of an explanation, a parent theme is like the framework/basis of your blog. It provides all of the nuts-and-bolts functionality for your site. The child theme is what gives your site it’s ‘look’. You can change the look of your site by buying and installing different child themes. Since I have the Genesis parent theme, the child theme needs to be compatible – but there are absolutely tons of child themes available. Having this parent-child theme functionality means that you can easily install any required upgrades to the parent theme, and the child theme won’t be impacted (so you won’t have to re-install all of those design tweaks you might have made). You can buy both the Foodie Pro child theme and the Genesis parent theme as a joint package from StudioPress. As I described above, plugins are ready-made chunks of code that perform some functionality on your site, and you can only get them when you’re using WordPress.org. There are literally thousands of plugins out there that people have developed – which saves you the need to figure out how to write your own code. Any plugins you do install need to be compatible with your version of WordPress (you can find out what version you’re on in the ‘at a glance’ section when you click on the ‘dashboard’ menu item at the top left of your dashboard). I’d also recommend only going for plugins that have lots of good reviews, and lots of installs by other people (you can see this info when you search on plugins in the plugins section of your dashboard). The Foodie Pro theme makes use of a number of plugins. There are lots of tutorials on the Foodie Pro site on this. Akismet – This protects your blog from spam comments. It’s free with WordPress and it’s amazing. I’ve had tens of thousands of spam comments filtered out by Akismet without me having to do a thing. wpRecipeMaker Premium – This formats the look of your recipes to make it easier to read. It also works with google to help google search recognise that you’ve posted a recipe (so it’s more likely to show up in google search – with an image of your recipe too). jQuery Pin it button for images – This allows your readers to hover over your images, click on the pin it button and pin it to pinterest. Pinterest can be a great source of traffic, so anything you can do to encourage that is a big plus. WordPress SEO by Yoast – It does magical/technical background things to improve your google search ranking. Once I installed it, I saw a definite increase in my traffic from search engines. You can use the free version, or there’s a paid version that includes even more magic. This plugin has had over 14 million downloads, so I think it’s fair to say it’s pretty darn good. Tasty Food Photography – Another awesome thing that came from Lindsey of the Pinch of Yum team. I bought it and read it from beginning to end in one sitting. I learned so much and found it helped me to improve my photography and understand all of those complicated settings on my camera. 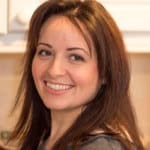 How I earned $40k in my first year of blogging – Chelsea Lords from ‘Chelseasmessyapron.com’ is doing brilliantly at this blogging thing! I bought her book after a year of blogging and found her advice so useful. I just wish I’d bought it sooner! Some of the links in this post are affiliate links – which means if you buy the product/service I get a small commission (at no extra cost to you). If you do buy, then thank you! That’s what helps me to keep Kitchen Sanctuary running. Thanks for sharing such awesome dishes lady. Your blog is somewhat I found really awesome on the web. I am a regular member of this site. I read all the post of you.Your posts are highly informative as well as useful too. Thank you very much for such an excellent post. I am waiting for your next post. I’m currently doing research to start a food blog. This article is very useful. I had heard that it’s better to start with WordPress.org than WordPress.com if you want more control and to earn money but didn’t really know why. You have explained it very clearly here which is really helpful. I have joined the Food Blogger Pro waitlist and will check out the resources you’ve mentioned. Will be saving this article for future use. Thanks so much for all the hard work you put into this post to help us newbies! ???? So glad you found the article useful Donna. 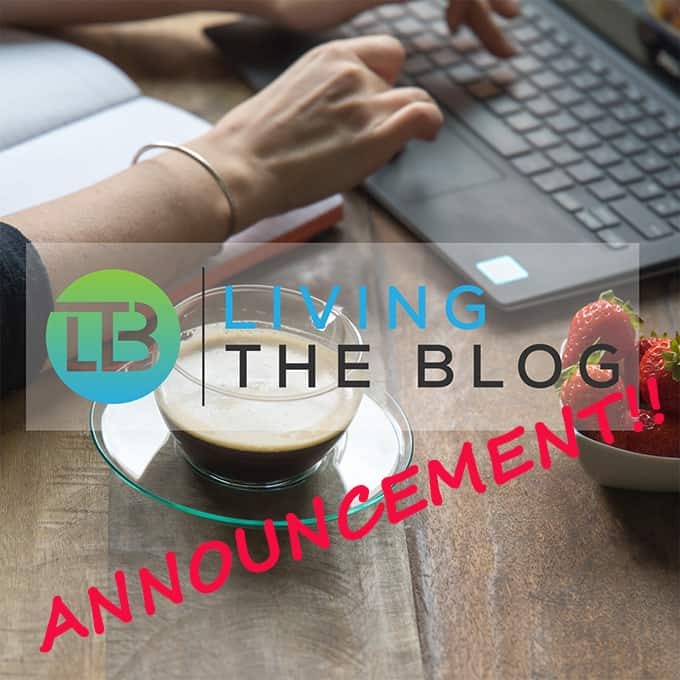 We’ve also recently started a new blog – https://www.livingtheblog.com/ to help other bloggers find their way in this confusing business! I hope the resources help, and great to hear about Food Blogger Pro (I’m still using it four years into blogging!). Very helpful post. I’m already with Food Blogger Pro..Your food photos are beautiful! This is very helpful! We started 2 weeks ago on WordPress, and I see the need to move in the future. I like all your ideas but especially resources you use to stay organized and photography. Thank you for this article. Thanks for the post again, it might help me decide, once for all! Lovely recall of your posting. About the same length of time for me. Keep up the good work. Your food looks delicious!! I need that harissa lamb! !